With great pleasure I have been awaiting the arrival of my parents to Osaka. For them, well as for me, it was the first trip to Japan. Even more I was excited to show them all the multifacetedness of Japan from my personal perspective and viewpoint, furthermore to share the positive experience I had already made. In the following ten days I found it to be very impressive to experience, that even though I had already seen so many temples and shrines, the view on these sights is always a different one. With every visit to these sights, one can gain new experiences and learn more about the architecture and history as well as the traditional Japanese life in ancient times. People say that a second look will help you to understand things better. This saying might fit especially to Japan. Furthermore it was very important for me to share the cultural habits of food and meals of the Japanese with my parents. Japan is a country you get to know better through the taste of national cuisine. Eating out has a very high status in Japan. It is not only to consume food, but also to experience great happiness and respect together with celebration. This is why someone should enjoy every visit to a restaurant and try out every different variety of local specialties. We tried the famous Okonomiyaki and Takoyaki in Osaka, or in Hiroshima the well-known Hiroshimayaki. For breakfast we had fresh sashimi at the Tsukiji Fish market and for lunch we tried out the various noodle dishes, like Ramen, Soba and Udon. 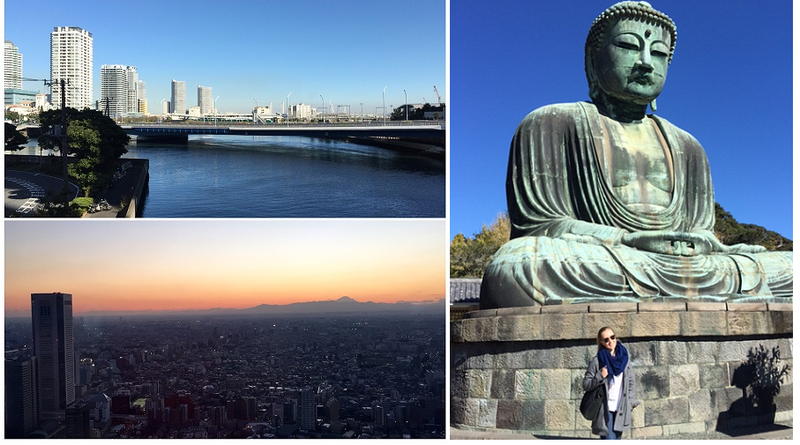 Besides of Osaka, Nara, Kyoto, Kobe and Tokyo we also visited regions and localities I had not seen before. These have been the mysterious mountain Koyasan, the beautiful castle of Himeji, the historic city of Hirsohima and nearby Miyajima, the amazing Kamakura as well as the famous area of Nikko and the harbor city Yokohama. It was overwhelming to see how the old temples are located in the middle of the modern townships. Japan is characterized by the balance of modern life and traditional influence. Therefore we could experience a country situated between calmness and the hectic of life, from warm to cold, but always facing warmth. It was amazing to see the nature and leaf changes from green into the most beautiful autumn colors one can imagine apart from what people know from Canada. The change of colors from summer green to yellow and lastly into dark red, made the localities and Japans nature seem even more mysterious. Not only I realized that wherever we were, the people approached us with warm and open friendliness which made us always feel comfortable wherever we went. Also my parents were impressed of the cleanliness and order of the country and its people. From my stay I will take home in Japan unforgettable moments with lovely people I met and the most exciting time of my life I had so far. 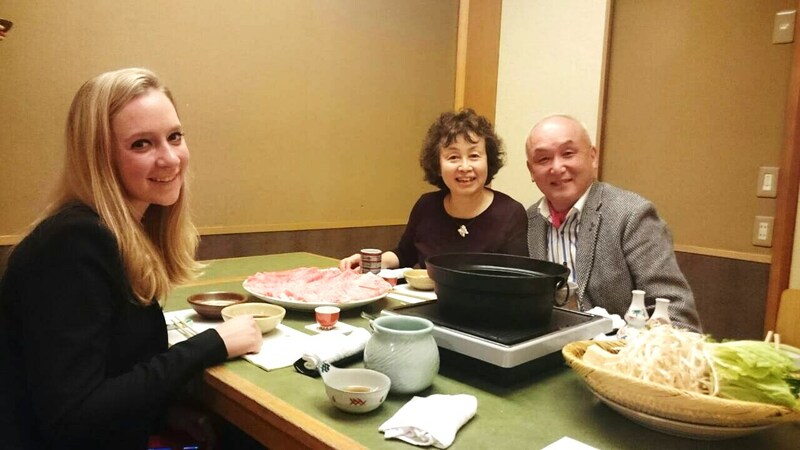 It is astonishing to see how fast one can adapt to the Japanese way of life despite all the cultural differences and challenges to the ordinary life for foreigners in Japan. I am looking forward to travel to the south of Japan and hoping to have more of these wonderful experiences.